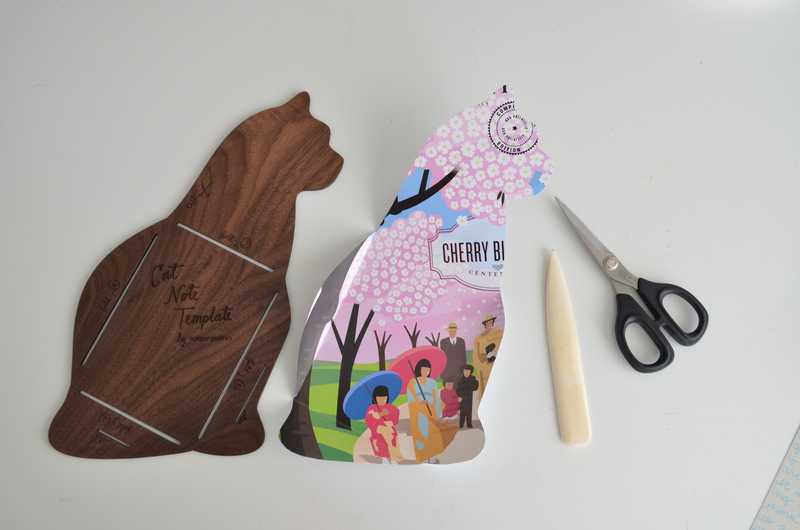 One of my favorite Christmas gifts was this ingenious Cat Note Template from Paper Pastries. 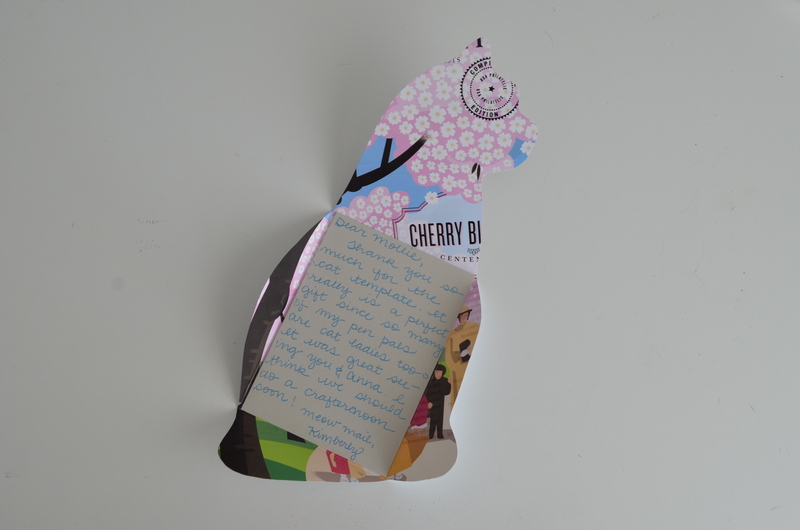 It was a gift from Mollie, who knows me well enough to know that cats + letter writing = perfect gifts. I decided to use it for my long-overdue thank you note to Mollie. 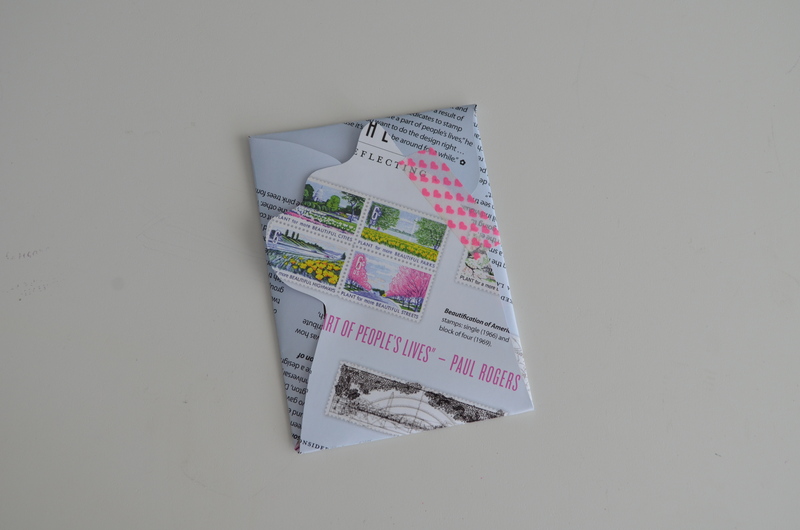 You can use the cat template on plain paper and write your letter directly onto it, but I decided to use the template to make an “inner envelope”. I used an old USA Philatelic magazine as my template paper and then I wrote my note on a 4-bar flat card (from Paper Source). I used my bone folder (more on this tool, soon!) to help crease the edges as I folded the template up with the card inside and I used a piece of washi tape to hold it together. The template comes with marks to make slits so you can tuck the folds into the slits to hold without the help of washi tape, but I like using up some of my washi stash, inch by inch. (You can see the “slit indicators” on the right and bottom sides of the template.) 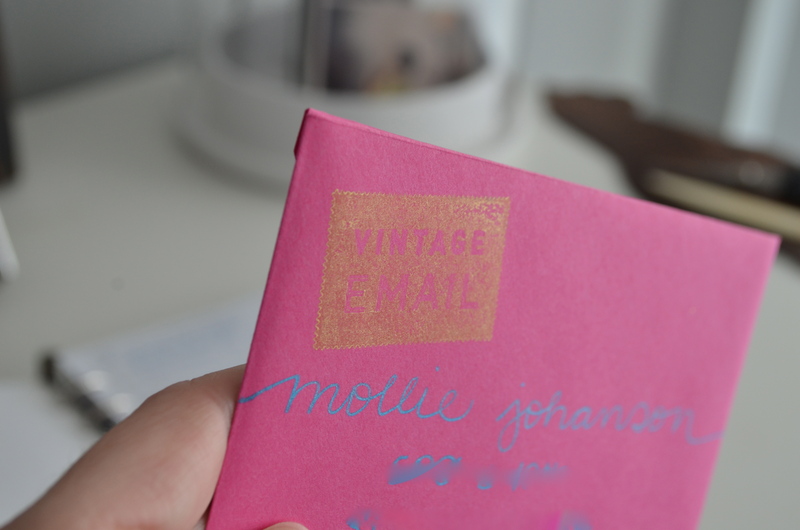 I tucked the kitty in a fuchsia envelope, used my new Vintage Email stamp (clearer picture below…gold is hard to photograph!) and called it done. 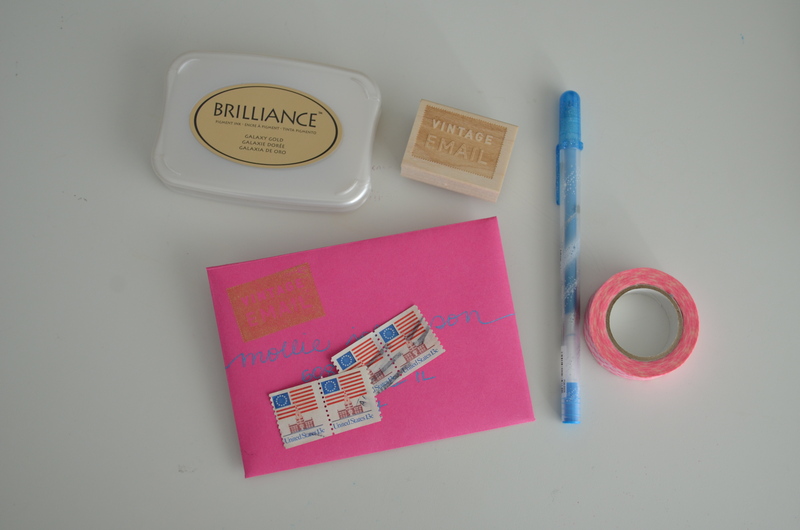 (Unfortunately, I didn’t get a picture of my corresponding cherry blossom postage stamp before I dropped the thank you in the mailbox.) 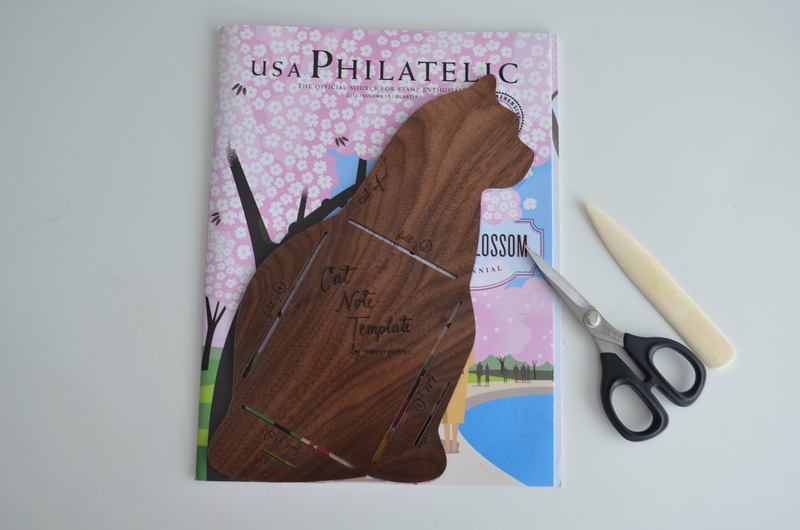 I’m looking forward to creating more cat-themed mail soon!